How can a man walk free, who has embarrassed the FBI, lost respect for the agency, and feel he has done nothing wrong?? Luckily, James Comey is not off the hook yet. 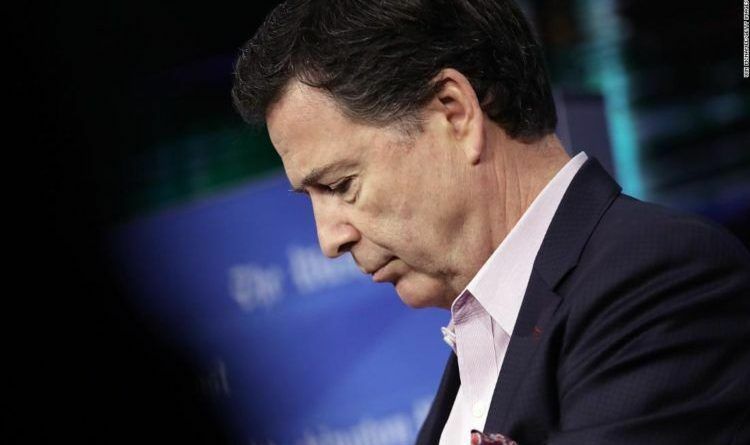 On Tuesday, a federal court ordered the Department of Justice to preserve federal records located in the personal email accounts of fired FBI Director James Comey, after Judicial Watch and TheDCNF had filed a motion asking the court to issue an order for preservation that was opposed by the Justice Department and FBI. Finally, something working for the people. It’s about time the courts ruled against the dirty deep state. I wonder if James Comey will sing about Obama if pushed? How far will he go if backed into a corner? I think someone will squeal soon if they’re facing jail. That’s what’s needed here! Start draining that swamp and get them behind bars! Enough of wasting taxpayer money on nonsense! Let’s just hope the e-mails are not already destroyed so we can, at last, get some justice. ← Here’s Who Is Really Paying for LeBron James’ New I Promise school!